FLUOPTICS©, European expert in fluorescence imaging guided systems to assist surgeons is proud to announce that FDA permits marketing of the FLUOBEAM® that detect ‘s parathyroid tissue in real-time during surgery. The FLUOBEAM® Imaging System provides real-time location of parathyroid tissue during surgical procedures such as thyroidectomy (surgery to remove all or part of the thyroid) and parathyroidectomy (surgery to remove one or more parathyroid glands). Disorders in the parathyroid tissue, which is tissue that borders the thyroid gland, are usually treated surgically to remove part of the thyroid gland or parathyroid tissue. Hyperparathyroidism, or the overproduction of parathyroid hormone, is the most common of parathyroid disorders and is diagnosed in approximately 100,000 americans each year. For surgeons treating hyperparathyroidism or other disorders, parathyroid tissue can be visually difficult to locate and distinguish from nearby tissues during surgery. FDA reviewed data from five peer-reviewed published studies to permits marketing of the FLUOBEAM® that detects parathyroid tissue in real-time during surgery. These published clinical studies were provided to support the safety and effectiveness of the FLUOBEAM® for the detection of parathyroid glands during thyroid surgery. These studies consistently demonstrate that parathyroid glands do autofluorescence with an average intensity that is typically greater than nearby and surrounding tissues. Further, these clinical reports suggest improved parathyroid gland localization with the use of autofluorescence. In general, the property of autofluorescence appears to be highly consistent for parathyroid glands. Additionally, autofluorescence appears to allow detection of parathyroid glands earlier in the surgical procedure. One of the studies provides reasonable affirmation that the earlier detection of parathyroid glands can result in reduced postoperative hypocalcemia, inadvertent resection, and auto transplantation. A reduction in transient postoperative hypocalcemia represents a significant clinical improvement for patients. The FLUOBEAM® Imaging System assists surgeons in identifying parathyroid glands, by autofluorescence in real-time, in order to preserve them during surgery. Parathyroid tissue emits a fluorescent glow when exposed to the device’s light source, avoiding the need for a contrast agent. The device was previously cleared as an imaging system used to capture and view fluorescent images for the visual assessment of blood flow as an adjunctive method for the evaluation of tissue perfusion. The FLUOBEAM® provides unique, precise and non-invasive real time information, ensuring that thyroid surgeons operate in the best possible conditions. 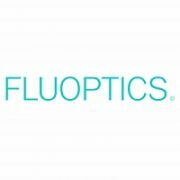 “With this new authorization, FLUOBEAM®’s flexibility across a large set of indications illustrates fully FLUOPTICS© huge potential. Every day we are getting enthusiastic comments from our KOL’s who are working hand in hand with our technical and clinical teams.” concluded Odile Allard. – De Leeuw F, Breuskin I, Abbaci M, Casiraghi O, Mirghani H, Ben Lakhdar A, Laplace-Builhé C, Hartl D., Intraoperative Near-infrared Imaging for Parathyroid Gland Identification by Auto-fluorescence: A Feasibility Study. World J Surg. 2016 Sep;40(9):2131-8. – Falco J, Dip F, Quadri P, de la Fuente M, Rosenthal R., Cutting Edge in Thyroid Surgery: Autofluorescence of Parathyroid Glands. J Am Coll Surg. 2016 Aug;223(2):374-80. – Falco J, Dip F, Quadri P, de la Fuente M, Prunello M, Rosenthal R., Increased identification of parathyroid glands using near infrared light during thyroid and parathyroid surgery. J. Surg Endosc. 2017 Sep;31(9):3737-3742. – Benmiloud F, Rebaudet S, Varoquaux A, Penaranda G, Bannier M, Denizot A., Impact of autofluorescence-based identification of parathyroids during total thyroidectomy on postoperative hypocalcemia: a before and after controlled study., Surgery. 2018 Jan;163(1):23-30. – Kahramangil B, Dip F, Benmiloud F, Falco J, de La Fuente M, Verna S, Rosenthal R, Berber E., Detection of Parathyroid Autofluorescence Using Near-Infrared Imaging: A Multicenter Analysis of Concordance Between Different Surgeons. Ann Surg Oncol. 2018 Apr;25(4):957-962.